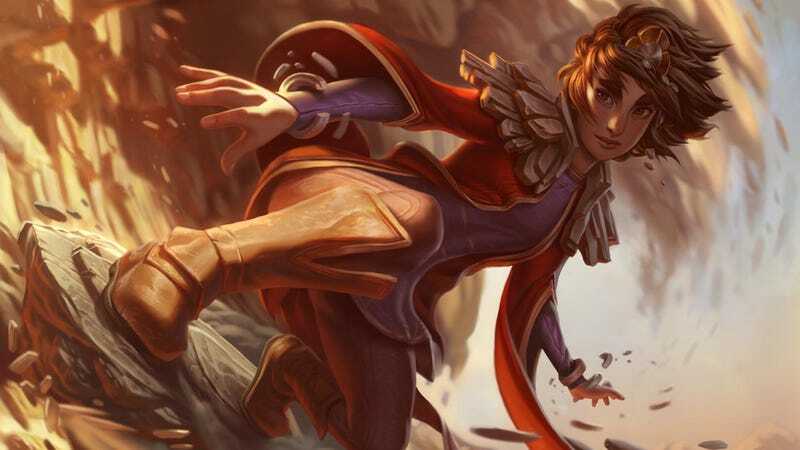 It took Ninjas in Pyjamas eight weeks to find its first series win after rejoining the EU LCS by way of purchasing Fnatic Academy’s spot. Many were critical of the move, both for axing the Academy players who earned the spot and in skepticism of the players brought on-board by NiP. Their opponent this week was Roccat, who despite being ranked just above the Ninjas in their group, were coming off a big upset against Unicorns Of Love. It was an uphill battle for NiP, but fate seemed to favor the underdog today. In game one, the teams were battling within a 2k gold difference when a distraction on one side of the map gave way for Roccat’s Ambrož “Phaxi” Hren to sneak into the Ninjas’ base and try to take down their nexus, which would win Roccat the game. Somehow, Ninjas in Pyjamas’ nexus survives, and the team battles back with Baron buff to take big teamfight win over Roccat. A slow siege led to NiP taking the nexus and its third game of the season, but the series wasn’t over yet. Early on in game two, it seemed like NiP were taking the lead, despite one very questionable death from support player Hampus “sprattel”Abrahamsson. Despite that play, NiP’s mid lane player Kim “Nagne” Sang-moon found incredible space on his Taliyah. 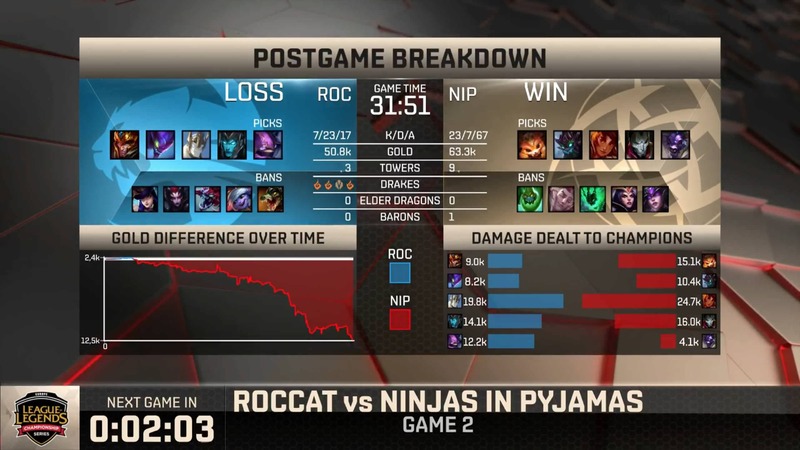 The post-game breakdown shows it best, as it’s a constant slope in gold difference between Roccat and the Ninjas. Even Abrahamsson put up a score of 0/1/20, participating in almost every NiP kill. Ninjas in Pyjamas may not have playoff hopes from this series, but taking down Roccat means the team won’t end the summer scoreless, and a few more wins could help bolster their confidence for when relegation comes around.